Derrick Banks Mashore is a Managing Director at Jones Lang LaSalle with more than 25 years of legal, consulting, risk management/mitigation, transactional, and financial experience. His focus is on advising technology, financial and professional services companies, and, as well, he is the Co-head of the Not for Profit Practice Group in Washington, DC. 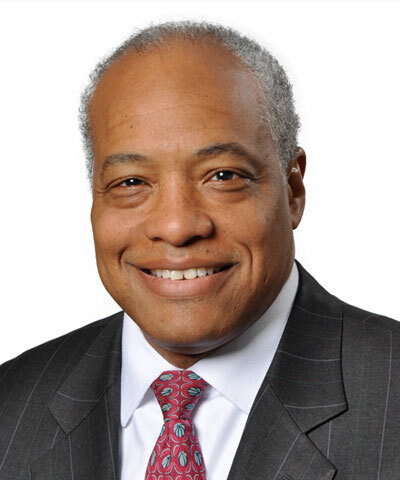 Prior to joining Jones Lang LaSalle, Derrick, was a member of the Board of Directors and a senior executive at Cushman & Wakefield, where he was responsible for overseeing the global integration of advisory, transaction and asset services for clients with complex needs. Before that, he founded Concordis Advisors, the largest national commercial real estate services company wholly owned and operated by minority professionals. In addition, Derrick practiced law for a decade and later was a Practice Leader for Price Waterhouse Coopers’ Business Process Outsourcing (BPO) group. Derrick has worked as a trusted advisor for a wide variety of sophisticated real estate occupiers, consulting on the strategy for transactions and portfolios, and being accountable for the execution, including development, review, and negotiation of all proposals, leases, and other contracts, adding measurably throughout the entire process of assessing and creating value from real estate. Derrick has deep experience negotiating matters involving office buildings., mixed-use public/private projects, performing and distressed real estate assets, hotels, and M&A projects with significant real estate components. Derrick has been an often-quoted resource for many business and trade publications, including the Wall Street Journal, National Real Estate Investor, Real Estate Weekly, Washington Business Journal, Black Enterprise, The Commercial Appeal, Corenet Global, Real Estate Biznow, Site Selection, and Commercial Property News. He has been a featured speaker at numerous industry and trade associations, and universities, including ICSC, Corenet, AAREP, Minority Media and Technology Council, and Duke University’s Fuqua School of Business. Derrick holds a law degree from Columbia University (Member, Honor Society), and earned a bachelor’s degree in policy sciences from Duke University. He is a past two-term Chairman of the Duke University Undergraduate Board, where he was honored in 2006 with a Charles A. Dukes (Alumnus of the Year) award, is the former Chairman of the Fairfax Stars, Nike’s Mid-Atlantic AAU basketball club, and is founding Chairman Emeritus of New Heights For Youth Foundation, which provides academic and leadership guidance to at-risk youth. class="pirenko_team_member-template-default single single-pirenko_team_member postid-1726 samba_theme samba_left_nav samba_left_align samba_responsive wpb-js-composer js-comp-ver-4.12 vc_responsive"